The best in modern dentistry. Repair and restore the beauty of your smile. Dr. Baseri embraces every one of his patients and strives to provide the best and most enjoyable dental visit possible. Our goal at Smile Recreation is to eliminate the fears of going to the dentist. Our office is equipped with the most advanced modern technology to provide an outstanding service for our patients. Our friendly and talented staff will coordinate all your dental needs ranging from urgent procedures such as dental emergencies, wisdom tooth extractions, root canals, implants, white tooth fillings, and to more advanced cosmetic treatments such as porcelain crowns, porcelain veneers, Invisalign and everything in between. Deep cleaning is the treatment of choice for gum disease, also known as periodontitis. So what is periodontal disease? Periodontal disease is the formation of plaque and bacteria around gums and teeth. A beautiful, bright and vibrant smile says a lot about a person. Your smile is not just an image; it is a reflection that is shared with others around you. We give you the freedom to smile with a confidence. 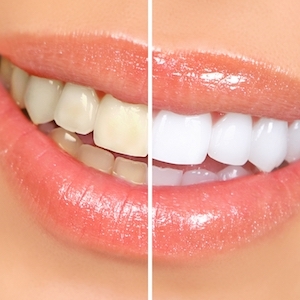 Veneers are made out of very thin layer of porcelain that is constructed in a dental laboratory. The purpose of a veneer is to bring back the natural beauty of your teeth, rejuvenate and restore your smile. Say "Goodbye!" to unsightly, uncomfortable, and outdated metal braces and "Hello!" to a straighter, more radiant smile with Invisalign! Invisalign straightens teeth with a modern series of clear retainers and none of the pain! Single Tooth Restoration to give back confidence. Fractured two front teeth restored to its normal shape with Porcelain Crown. Phase 1 of lower jaw Smile Makeover. See Full video of this treatment on Instagram Page. Smile Makeover completed by Veneers and Crowns combinations. Full video on Instagram Page. Fractured two front teeth restored with All Porcelain Crown. Mercury replacement with white fillings. This beautiful girl’s from tooth is restored to its normal shape and now ready for modeling again. Changing front discolored tooth with Porcelain Veneer. This patient broke her front tooth due to an accident while working. Removing Mucocele with Laser, No sutures, no pain! Invisalign treatment: In this video you can see the Clincheck and how the teeth will be aligned or moved in to the correct alignment. The completion of smile makeover in just a few months. So much to be thankful and to be able to help my patients from all over the world to smile again. The front tooth has been discolored for many years until he found me. Brennah shares her experience on her first visit to my office. Smile makeover made possible with all porcelain veneers. 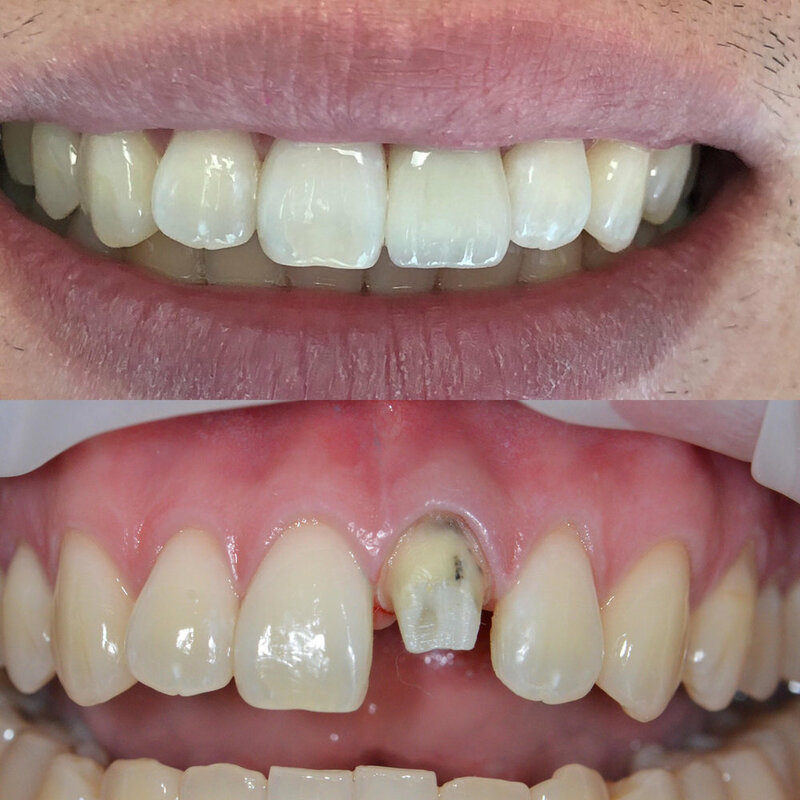 Implant experience from a happy patient! Visiting Smile Recreation and finding out so much about her teeth. A Beautiful and White Smile! These two teeth were treated by root canal with our specialist due to the advance cavity in the nerves. Later these teeth are protected by ALL PORCELAIN crown to keep the structure and integrity of the tooth and bring it back to function. This Invisalign treatment was completed in just 6 months. Lets hear it from our patient. After one year of full healing and recovery, the two front immediate implants are restored with two porcelain crowns.